IBBR researchers recently received $3.9 million from the National Institutes of Health (NIH) to develop a multi-specific, single agent antibody therapeutic against HIV-1 to block virus infection and to clear the reservoir of HIV-infected cells from the body. Dr. Yuxing Li, Associate Professor, Department of Microbiology and Immunology, University of Maryland School of Medicine, and Fellow at the Institute for Bioscience and Biotechnology Research (IBBR), will lead the project, in collaboration with colleagues Dr. Qingsheng Li, University of Nebraska-Lincoln, and Dr. Keith Reeves, Harvard Medical School/Beth Israel Deaconess Medical Center. 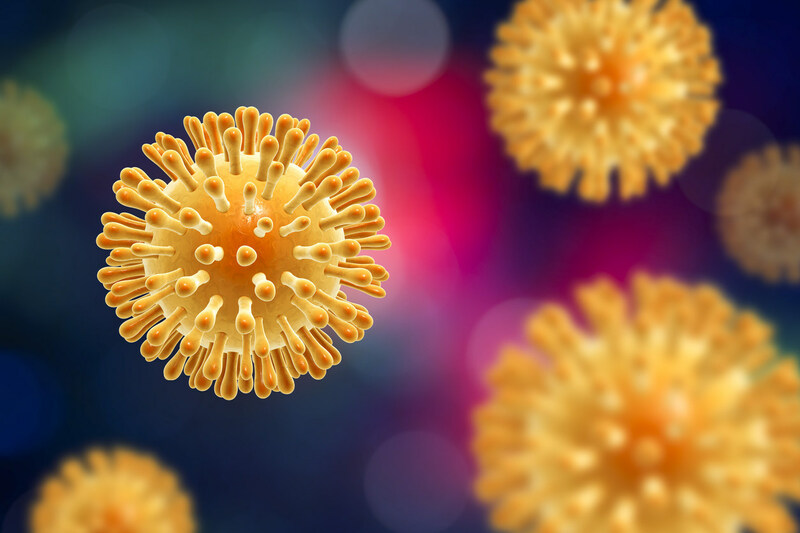 “The overall outcome of this study will advance our basic understanding of protective immunity against persistent virus infection and contribute to the development of safe and effective strategies for HIV remission and possible eradication,” says Dr. Li. Life expectancy has increased greatly for HIV patients with access to antiretroviral (ARV) treatments, which control virus load in the body. However, ARVs can cause adverse side effects, and HIV’s rapid mutation rate leads to drug resistance and a diverse population of circulating strains. Furthermore, HIV integrates into the human genome, leading to hidden viral reservoirs that make clearance from the body impossible with ARVs alone. Dr. Li’s group previously created bi- and tri-specific antibodies that demonstrated neutralization of 95% of circulating HIV-1 viruses. Their findings were published in Nature Communications early in 2018. In addition, these constructs simultaneously bind to several different locations on the HIV-1 surface glycoprotein Env, which should efficiently blunt treatment evasion by mutation. Now, the team plans to further optimize their multivalent antibody constructs to recognize Env proteins on the surface of latently infected host cells, and to signal other immune system components to destroy those cells that contain the hard-to-reach viral reservoir. IBBR Director Dr. Thomas Fuerst adds: “We thank the NIH for their support of this promising area of research. IBBR facilitates application of groundbreaking scientific research to address significant unmet medical needs. Dr. Li’s research is an excellent example of fundamental science conducted at the Institute that may lead to important, new therapeutic products.” In fact, the IBBR Translation Management Office has identified this project as having high commercialization potential, and plans to help generate follow-on funding to support pre-clinical development. Initial funding for Dr. Li’s research was provided through a seed grant from the University of Maryland Strategic Partnership: MPowering the State, a program designed to leverage the strengths and missions of the University of Maryland, College Park and the University of Maryland, Baltimore. Additional proof of concept work was partially supported through a grant from the Maryland Technology Development Corporation’s Maryland Innovation Initiative (TEDCO-MII).